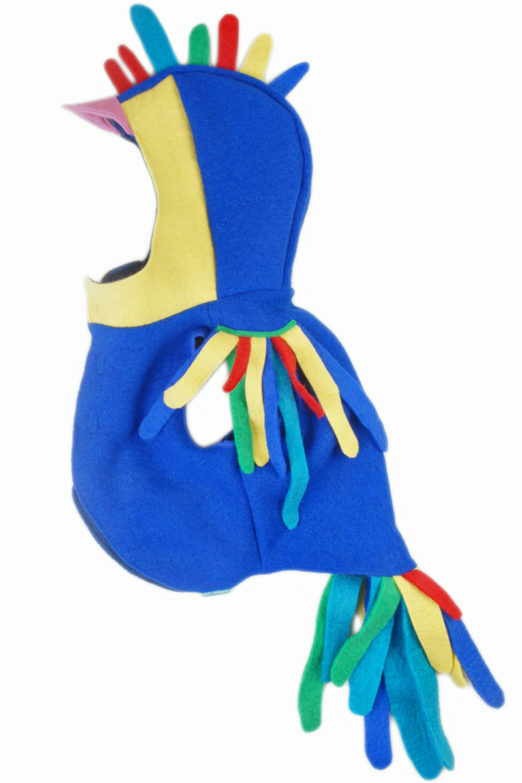 Parrot costume by Madam Petit, a feast for the eyes and a joy to play with! 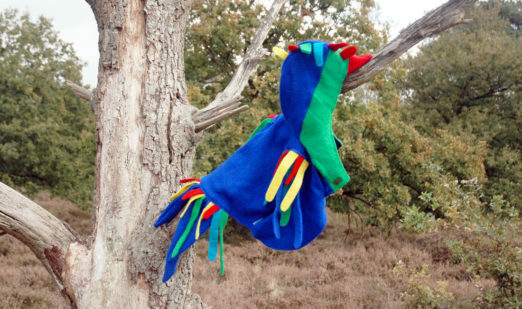 Even from the highest treetop all fluttering through the Sun's rays, this Colourful Parrot costume steals the show. 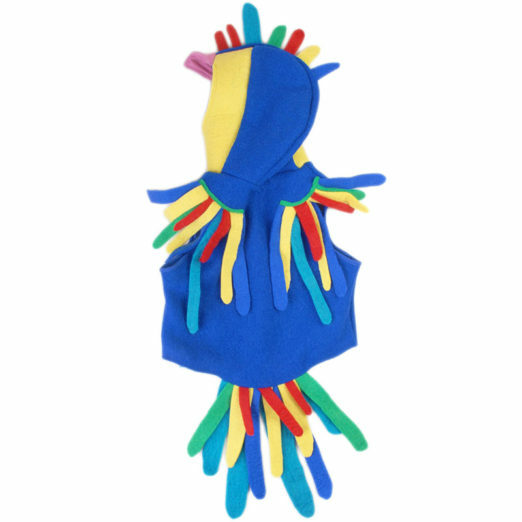 With a dance, or swinging through the clouds, this Parrot even makes the hopscotch to a party. 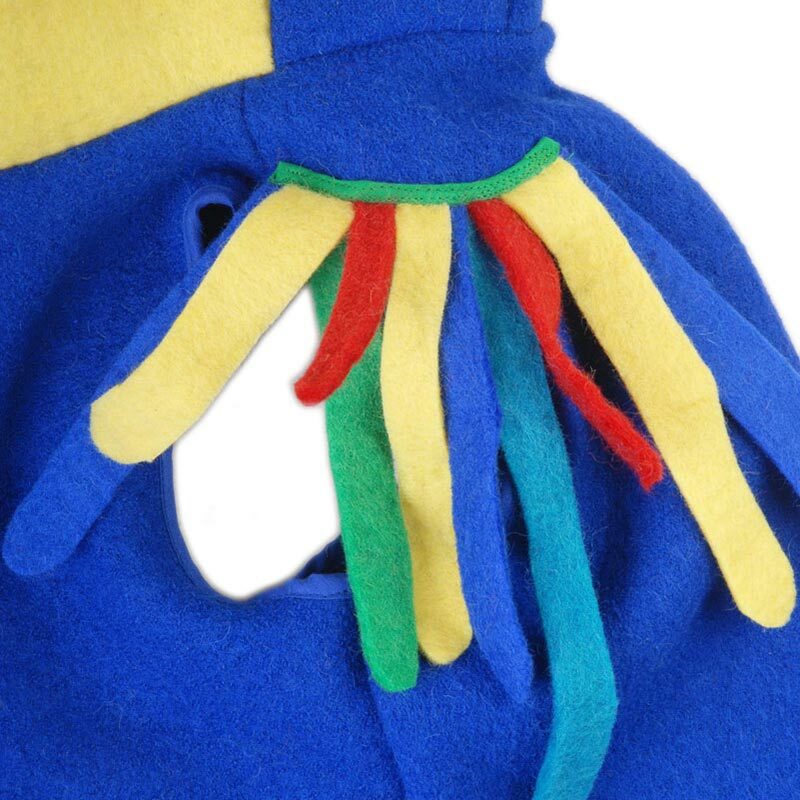 By using 100% boiled wool this suit feels light and soft. 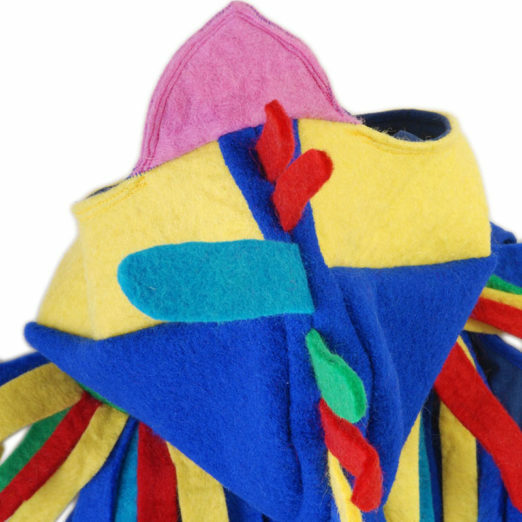 The feathers on the back and at the sleeve holes are made of wool-felt, just as the feathers on the head. 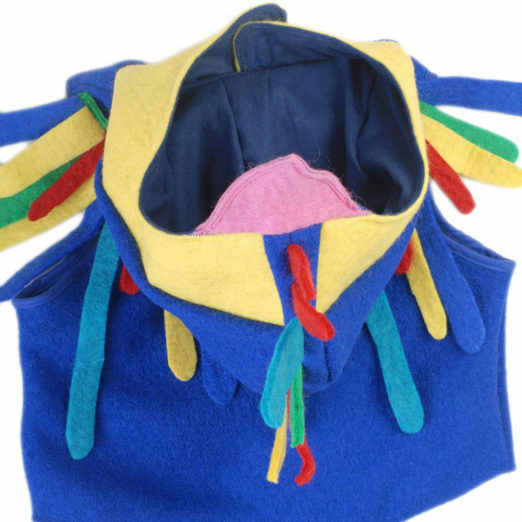 The inner side is fully lined with soft cotton fabric and stitched all around. 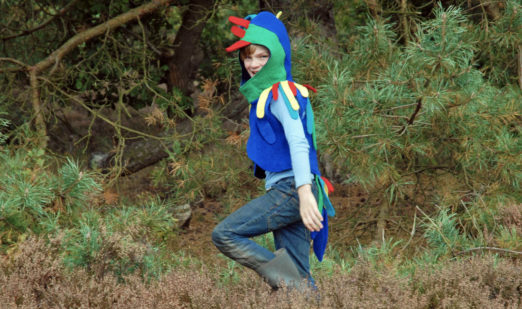 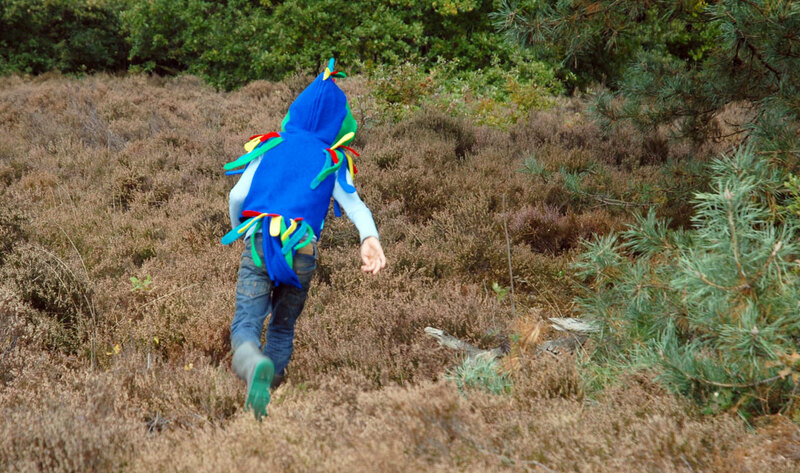 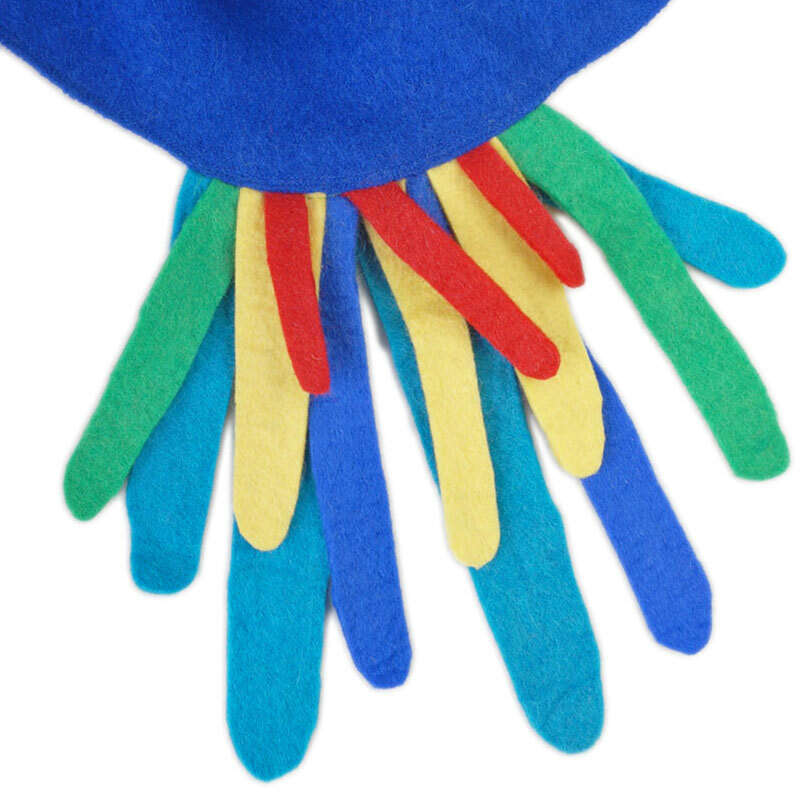 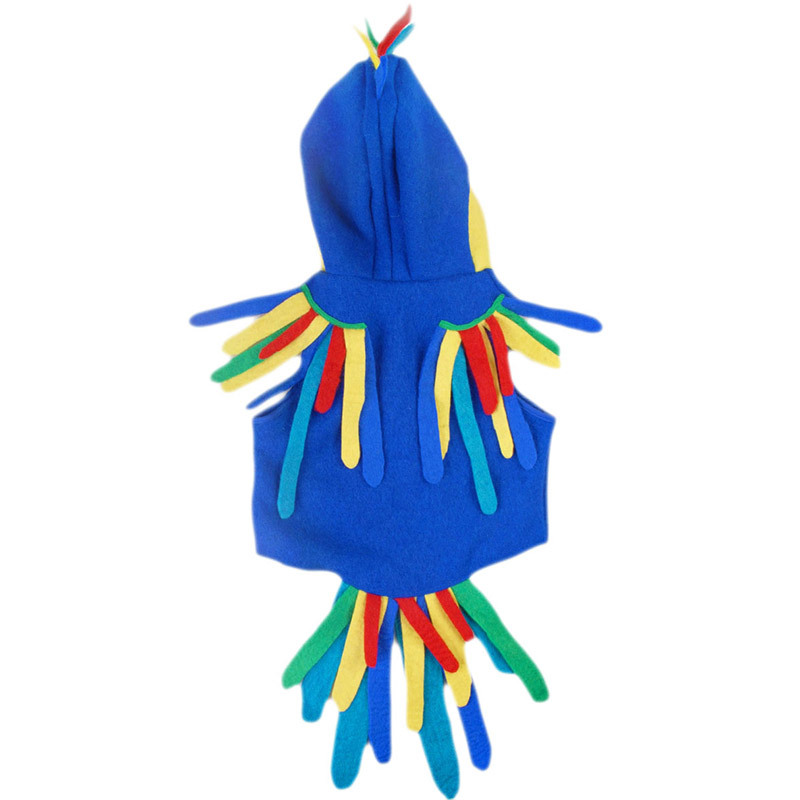 The Parrot-costume consists of a sleeveless vest with hood and fastens with velcro making it easy to take on and off. 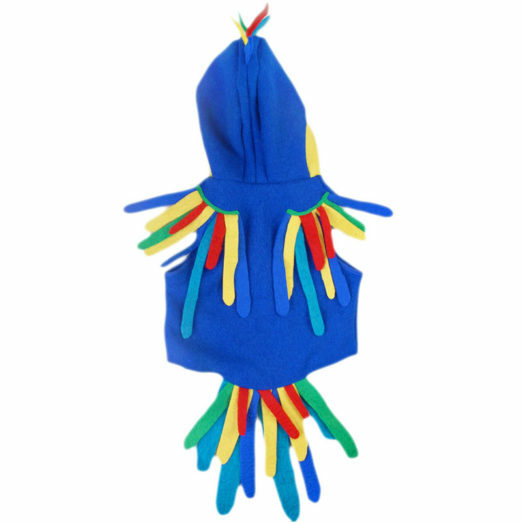 This costume is handmade and therefore unique, there is no other like it. 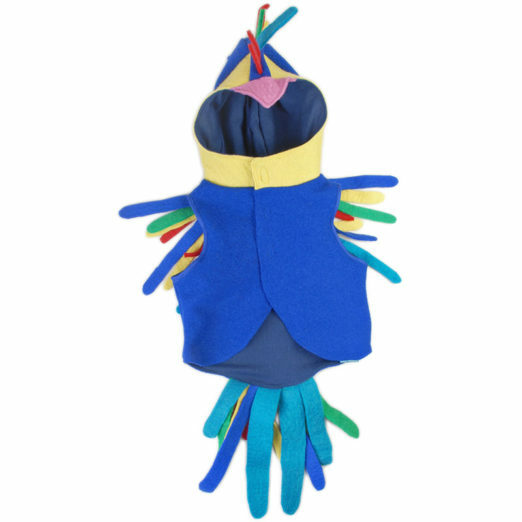 This Parrot is a feast for the eyes and a joy to play with, for every child.